Nagarjuna Ayurvedic Group engages in the manufacture and distribution of ayurvedic medicines and drugs. It offers arishtams, asavams, avarthies, choornams, ghruthams, gulikas, kashayams, kashaya choornams, kashayam capsules, kuzhambus, lehyams, and thailams/kerams/sevyams. The company also offers scientific treatment protocols for diabetes mellitus, eye diseases, male infertility, rheumatic complaints, allergy and asthma, skin diseases, irritable bowel syndrome, gynaecological disorders, and life style disorders; provides ayurvedic treatment services; and operates an ayurvedic training institute. 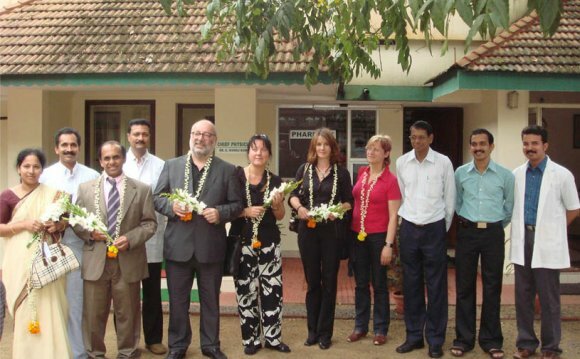 Nagarjuna Ayurvedic Group is based in Thodupuzha, India with treatment centres in Nagpur, India; Kensington Boulevard, South Africa; and Cochin, India. The company also has retail outlets in Kerala.